Mind the Gap! Greybox design packaging for new card game. Greybox are delighted to launch the new website for The Amazon Charitable Trust (ACT). New Bayanix responsive website launches May 2016. A new magazine for German company Sirius Faculties has finally hit the desks throughout Germany this month. 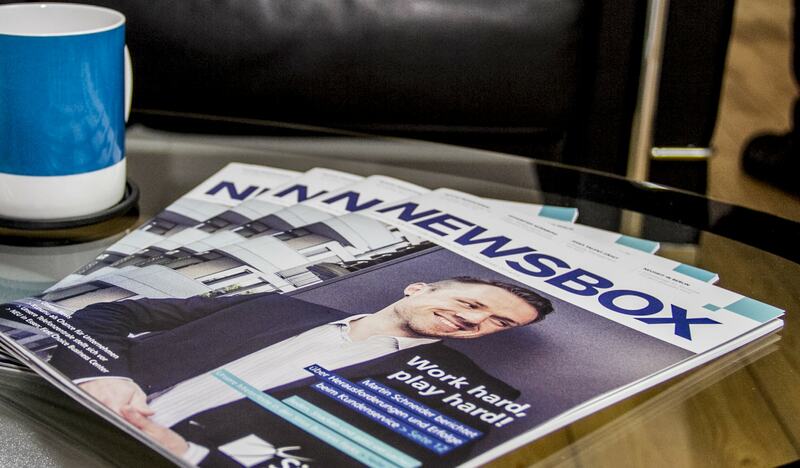 Titled Newsbox, the 44 page A4 glossy magazine targets their consumers, prospective customers and investors, aiming to provide the latest news and developments across the entire business. Sirius develops and operates 38 business parks throughout Germany, totaling 1.1 million square metres. It revitalises brownfield sites, investing heavily in renovation and modernisation to transform previously futile land into a bustling mix of offices, warehouses, factories and conference facilities. The project began in September 2014 and after some intensive planning consultations with Sirius’s marketing department and editor, Steffi Schillinger it was decided that the magazine was to be split into different sections for each of the company’s departments, ensuring that it appealed to a wide audience and covered all aspects of the business that Sirius is involved in. Design concepts were produced and later approved in early December, with a full content design program starting early in 2015. However there was an added challenge for this project, as the entire magazine was in German. Therefore translating each page was extremely complicated, especially when planning the design and layout of the magazine. Despite this challenge, Sirius are thrilled with the end product and the magazine has received an extremely positive response from not only Sirius’ employees but their clients too. With this rate of success, we are hoping that Issue 2 of Newsbox Magazine will begin production later this year.